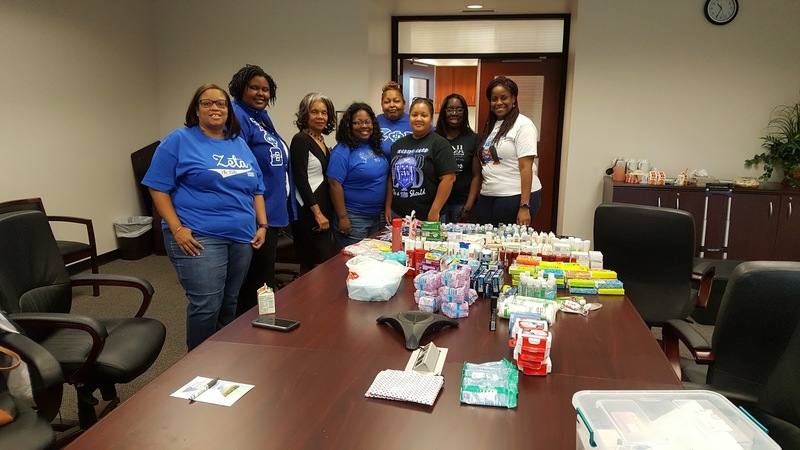 The ladies of Zeta Phi Beta Sorority, Incorporated, Xi Omega Zeta Chapter (Warner Robins) kicked off the first week of November with the Weekend of Service with three community service projects as we celebrated the annual Georgia Day of Service. 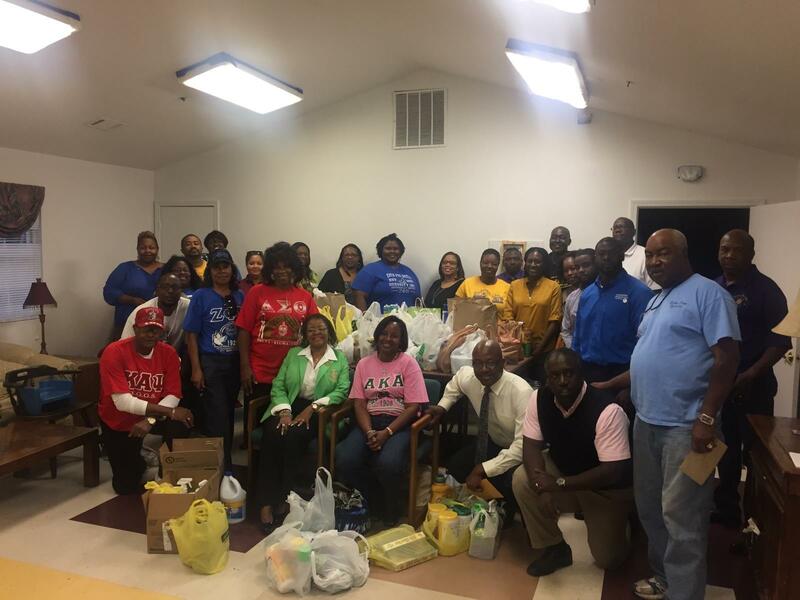 On Thursday, November 3rd, 2016, Xi Omega Zeta collaborated with the Warner Robins chapter of the NPHC to collect food and cleaning supplies to benefit the Warner Robins Community Outreach Service Center. The Community Outreach Service Center is a non-profit organization that was founded by Rev. John and Izzy Thomas in 1999 and serves as "A Haven For the Homeless". Over the past few years, the Warner Robins NPHC chapter has collected and donated items to benefit the homeless families that are seeking assistance to become self-sufficient in all areas of their life. 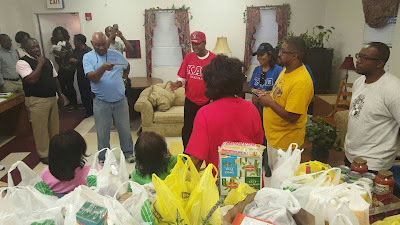 Members of Xi Omega Zeta contributed 160 cleaning supplies to the total NPHC donation of 700 items to the organization. Our second community service project not only served as a our official Georgia Day of Service Project on Saturday, November 5th, but our launch to Military Appreciation Week as well. We collected over 2,689 toiletry items and created 100 care packages to benefit the homeless Veterans who receive services through the Carl Vinson VA Medical Center in Dublin, Georgia. Our collaboration with the Voluntary Services department at the CAVAMC will benefit over 100 male and female Veterans throughout the Middle Georgia area, especially near the Perry Clinic. We concluded our weekend of service on Saturday by also collecting funds to donate sandwich bags for the State of Georgia USO Project. The sandwich bags will be used for snacks for Veterans that are deployed across the world. We truly enjoyed the camaraderie of working with these organizations for our weekend of service and certainly look forward to servicing our Veteran and Homeless population in the Middle Georgia area in the future.